Kim Heung-soo to return with "Drama Special - 18 Years"
Actor Kim Heung-soo is coming back with "Drama Special - 18 Years". Kim Heung-soo takes on the leading role of Han Seok-hyeon. This is his first appearance in 2 years as he was away on public service since 2011. Seok-hyeon was a rising boxing star with several medals but goes through hardships and ends up with a fish market that his mother left him. His guilty conscience about his mother passing away and wrecked sister Seok-joo (Seo Yeong-joo) drives him to work hard every day to erase the shadows of the past. Kim Heung-soo said, "I come back to film a drama and there are more younger people than me. I have to be more responsible". "In "Drama Special - 18 Years", Seok-hyeon is a character who embraces his sister who suffers the growth problems of a typical 18-year old, just like how he experienced in the past. This portrays the never-changing instability of our youth". 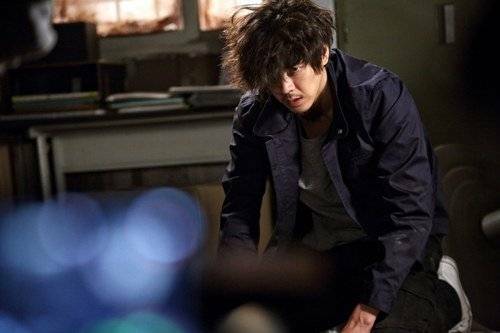 Kim Heung-soo said, "I wanted to act so much" and expressed his thirst for more. Kim Heung-soo is has been acting for 10 years and "Drama Special - 18 Years" is his first drama in his 30's. He's had some difficulties at first but now he's working it out with the directors and writers. Meanwhile, "Drama Special - 18 Years" is a KBS drama special written by Yoo Bo-ra and produced by Kim Jin-woo-II. To be released on the 27th at 11:55PM. "Kim Heung-soo to return with "Drama Special - 18 Years""